Lebanon is the major potential gateway country in the whole MENA (Middle East and North Africa) geo-economic area. Lebanon has a free-market economy and a strong laissez-faire commercial tradition. The government does not restrict foreign investment; however, the investment climate suffers from red tape, corruption, complex non tariff trade barriers and fiscal system, weak intellectual property rights. 2011 represented the first year of economic contraction after several years of constant growth (+8,2% average GDP increase during the previous four years), with a concerning “stalemate” political situation without any government leading the country. The eruption of the Arab Spring could have been a great opportunity for Lebanon to act as a gateway and a safe shelter in the MENA region for many foreign investors and exporting companies. Unfortunately the economic slow-down and the chaotic political situation, determined heavy consequences for every positive expectation. The tourism industry and foreign investments recovery, on the other hand, determined the recent positive forecasts for a +5% GDP estimated growth within 2014. Important reforms let imagine a better business environment: the New Energetic Plan financed by the government, new laws and regulations on equity capital that should boost up the Beirut Stock Exchange, as well as major measures in ITC industry. European companies as well as Italian exporting SME, should mainly pay attention to the construction and contract industry. The real estate industry boom spread after the immediate after-war period during the 90s, with a strong Lebanese expats demand (they bought over 60% of new buildings mainly through government benefits). The political scenario has been breathing fresh positive air after the Doha round in 2008, with a new boost for the construction and real estate market, following the previous encouraging trends. Then a strong contraction followed, modifying the market segmentation in favour of the medium level customers, while South Lebanon is now the centre of a new construction boom, mainly due to faster and easier authorisation systems. An important trade promotion event, on October 23rd this year, was organised by ContractItaliano a major Italian trade promotion project. Over 150 Lebanese contract professionals (real estate profs, contractors, developers, etc.) met 12 Italian companies producing furnishing, lighting products, textile or providing construction materials as well as architectural and engineering services. The most important character is undoubtedly the widespread of turnkey contract projects, involving a bottom-up whole integrated industry (from construction materials, to interior design, furnishing and financial or commercial services). 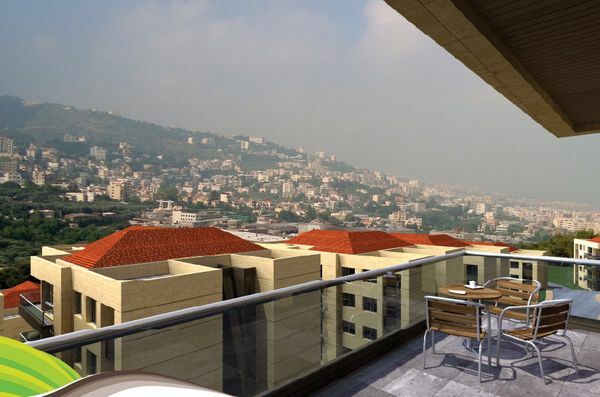 Major projects like 9 Boulevard: a brand new residential complex in the hearth of Metn (Mount Lebanon), with 9 residential buildings offering apartments (220-265 sqm) and a complete range of infrastructures and services, as well as an amazing mountain and sea view. More in the Office & retail segment, with Building 1481, realized focusing on the high quality of materials, both in the construction steps than in the interior design and flooring refining, with the aim to offer top level offices and commercial venues. Also complete and integrated small town are being realized following a common architectural concept: Boutchay Hills [here a detailed brochure] for example, built by ESLA (Elias Saad Luxury Apartments) offers a relaxing high level residential and tourist venue only 10 minutes away from the chaos of Beirut. A complex urban development project with residential buildings, entertainment services, and top level services for the citizens. Business opportunities are many. The civil war in the near Syria is a major concern, a dangerous threat to the local security and business in the whole Middle East area. Lebanese people first are worried, they’re tired of fratricidal wars, sectarian troubles and clashes or general instability. Despite these major concerns, the contract industry in Lebanon is a good potential target market, a natural destination for European companies in the middle of Mediterranean sea. It’s time to breathe the marine air of Beirut, with its contagious hospitality and its never ending smile, hopping on the rushing train of an interesting business.